When I’m going through a hard time or feeling low, I know deep inside that I just need to keep going – it will get better. But there are some things we can do to make it easier on ourselves. We can pour a good cup of tea. Get outside. Spend time with loved ones. Make some art. Do some yoga. And, of course, read. Literature is humankind’s archive for every emotion out there – joy, love, depression, loss, excitement, heartbreak, regret, pain, suffering. It’s the best value-for-money life coach you’ll ever get your hands on. Books can comfort us where we are, show us how to get to where we want to be, and give us the confidence and self-belief we need to keep going. They can take us on a direct flight into a whole new world, departing as soon as you turn the first page. Here are my bibliotherapy recommendations for the tough days. I hope they help you to relax, feel better when you’re feeling low, and bring some comfort if work, love, or just life is getting you down. Make a place for books alongside your self-care, community, and what matters most to you. I love this poetry anthology, I really do. I was reminded of it recently while re-watching series two of Mad Men, in which Don Draper picks up a copy and reads us part of “Mayakovsky”. 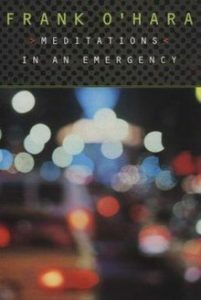 Meditations in an Emergency is an excellent collection – there’s a lot of good stuff in there – but I particularly love “Mayakovsky”. I owe a lot to this book. It’s helped me through so much over the last year. When I was learning how to just be without others during a breakup, I came across the Kindle sample and immediately ordered the little hardback edition. It’s not just about “how to be calm in a busy world”, it’s about how to live your life intentionally and be the most balanced version of yourself. 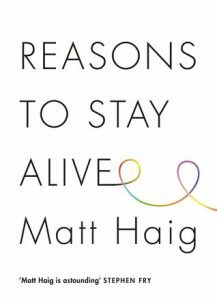 This was Matt Haig’s first book on mental health to hit the mainstream. 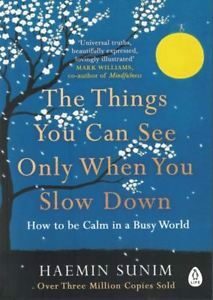 I wrote about Notes on a Nervous Planet recently, his 2018 book on maintaining our wellbeing in an anxious world, but Reasons to Stay Alive is another good one – especially during times when we’re experiencing low mood or depression. Side note: I’m sure Matt would agree that getting help is the crucial first step if you think you’re experiencing depression, so please don’t put it off. Without therapy, I really can’t see how I could have achieved most of the things I have in the last five years. There’s just something about escaping into London with Robin and Strike that warms me when I’m feeling low. Perhaps it’s because I’m a Brit abroad and the reminder of home comforts me. 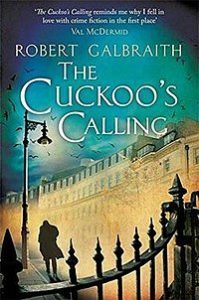 I think one reason why I enjoy the Cormoran Strike series is because it reminds me of what I most love about Sherlock Holmes. 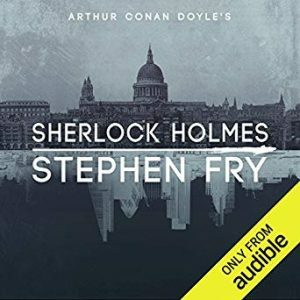 On difficult days, I sometimes turn to the audiobook narrated by Stephen Fry for a story or two. There’s also a high chance I’ll watch one of my favourite episodes from the BBC Sherlock adaptation. 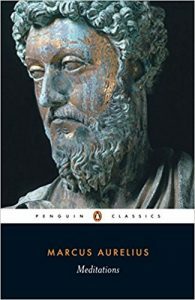 When speaking of books to lift us up on hard days, I can’t ignore the ultimate guide to life (and perhaps the earliest ever): Marcus Aurelius’s Meditations. I created an index at the beginning of my copy so I can find my favourite sections, including some on work, finding purpose in our lives, and feeling low. It’s one of the most treasured books I own, alongside my first copy of War and Peace. 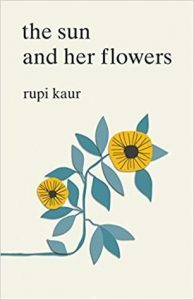 If you ask someone to name an Instagram poet, they’ll probably say Rupi Kaur. 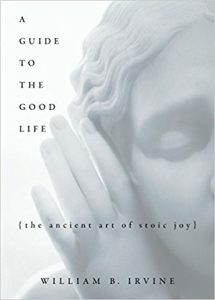 I’ve already mentioned Marcus Aurelius on this list, but William B. Irvine’s Guide to the Good Life is a really accessible way into stoic philosophy, as well as proof that it absolutely can be joyful. 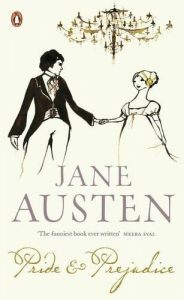 How could I miss Pride and Prejudice from a list of books to read on hard days? 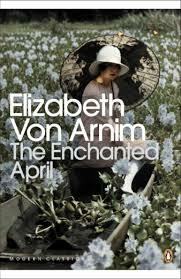 This beautiful novel tells the story of four English women – strangers to each other – who decide to share an Italian castle for the month of April. The setting moves from drizzly London to the charismatic castle of San Salvatore, abundant with lilies and wisteria in full bloom, and the characters undergo both individual and group changes that could never have been expected. I love anything Sherlock Holmsian and am a fan of Marcus Aurelius as well. But I haven’t read The Good Life. Will certainly put it on the list. Speaking of The Good Life, and you bring up the BBC, are you familiar with the series The Good Life? From before you time, I’m sure. My favorite series of all time that definitely picks me up when I need it to. Thanks for the recommendations!